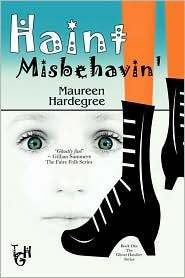 Haint Misbehavin by Maureen Hardegree is free for Kindle right now. This middle-grade novel has gotten some solid reviews, and follows Heather Tildy, a teenager who seems to keep attracting ghosts. This looks like it could be a fun one, so be sure to download it quickly (and double-check pricing) before the deal is over! Bookish Wrapping Ideas + Tips! Your right. This does look like it will be a really fun read. Brilliant for a laugh.